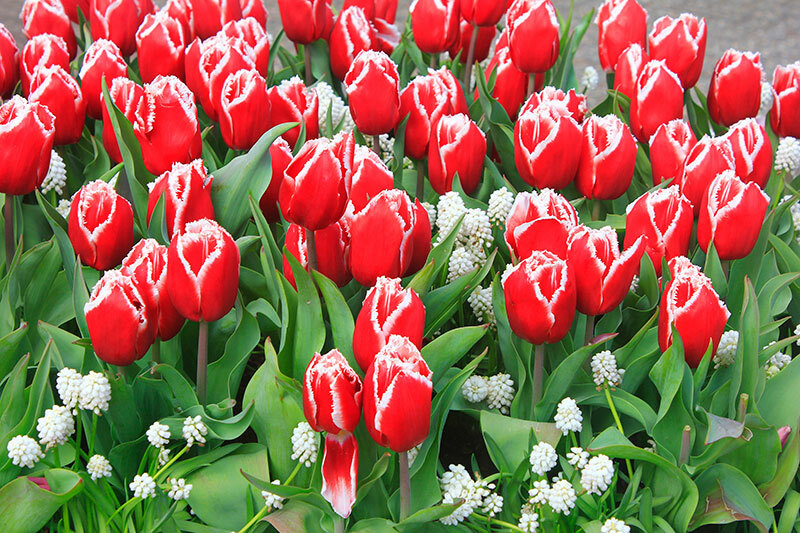 It was a dazzling display of lovely tulips. Tulips bloomed everywhere. 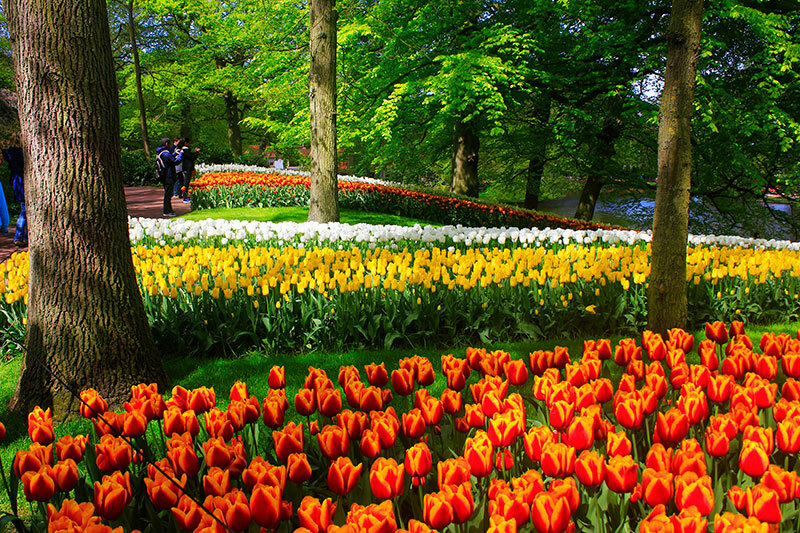 It was a fabulous scene in Keukenhof Gardens. 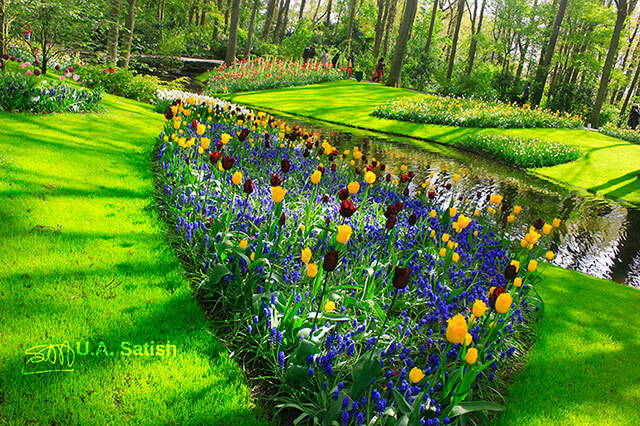 The gardens are spread over 32 hectares and 800 types of tulips were on show. 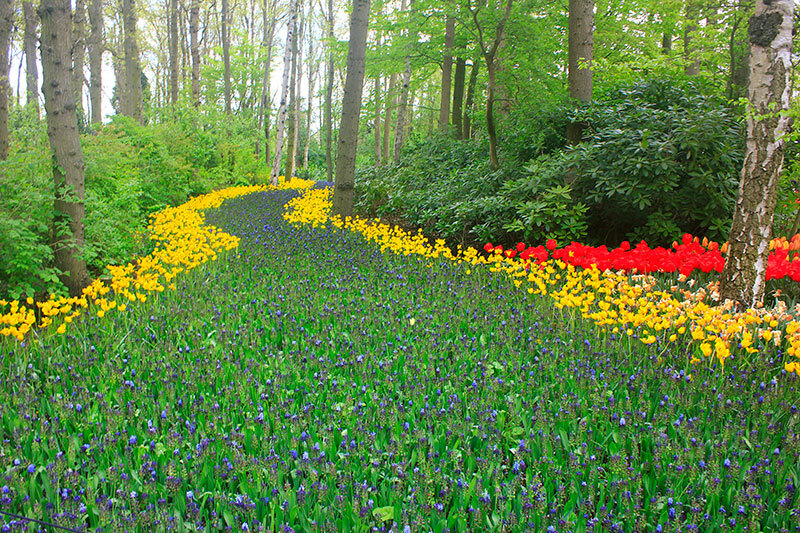 Keukenhof is easily accessible from Amsterdam or Schiphol Airport. 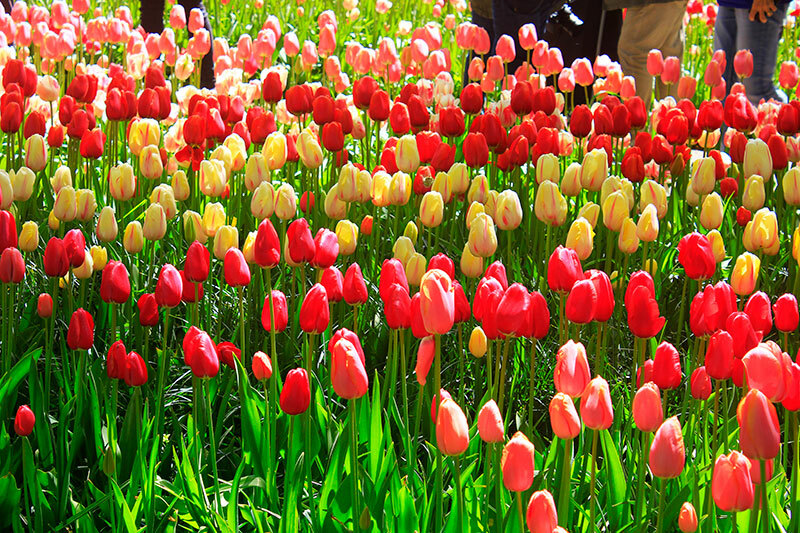 We visited Keukenhof in the second week of May last year. We were lucky that the weather was not too cold or too warm. The flowers were blooming everywhere. 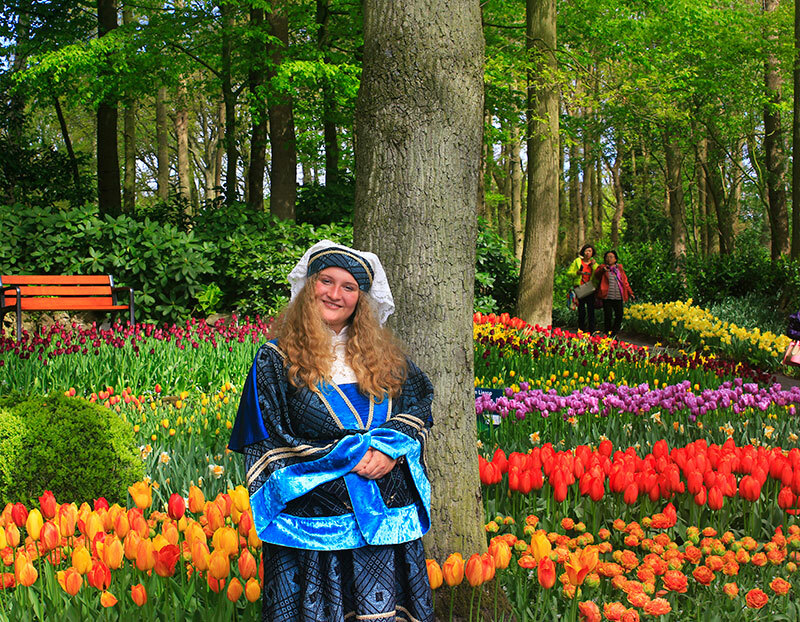 Keukenhof is open from mid March to mid May each year. 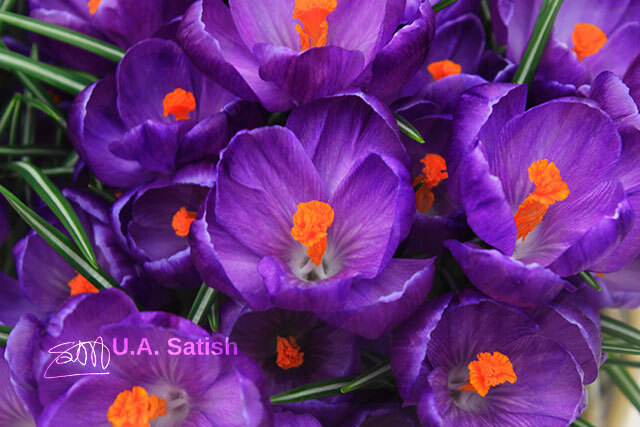 This year the season is from 24 March to 16 May. The best time to see the spring flowers will depend on the weather. 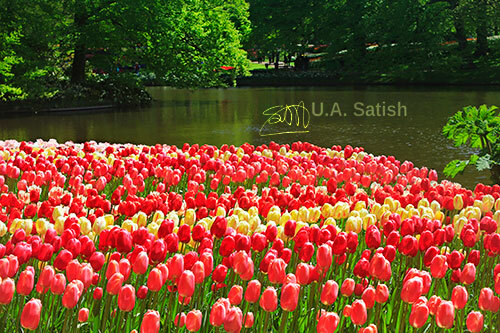 When the weather is cold, tulips grow much slower than when it is warm. As the gardens are laid out over a large area, a fair amount of walking will be necessary. At Keukenhof, there are five pavilions with stylish and colourful restaurants. Various stalls across the park serve waffles, smoked hot dogs and the widely popular Dutch herring. Free Wi-Fi is available in the whole park. 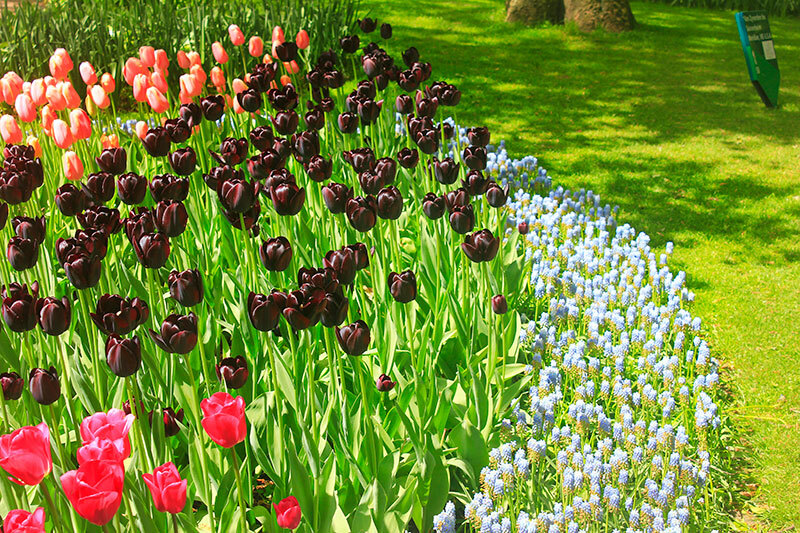 The tulips were in many different colours: yellow, blue, white, orange, pink, red and even black. Red can be a difficult colour to photograph since large areas of red tend to block up and look oversaturated. It was a cloudy day and the light changed from time to time. I mostly used my camera in aperture priority mode to accommodate the fluctuating light. Weather in Holland is not predictable and it can rain several times a day. A waterproof jacket s a must. You will also need to protect your camera from water damage. You can explore the beautiful surrounding areas by bicycle. Keukenhof hires out women’s, men’s and children’s bicycles. Relax and enjoy the peace and quiet of the endless tulip fields around Keukenhof in an electrically-propelled whisper boat. These boats travel through the beautiful Dutch landscape in virtual silence. The boat trip takes 45 minutes.